Extremely happy with my new Entry Brite Vented Iron insert door! It’s stunning. The custom matching transom window above the door is a great addition. 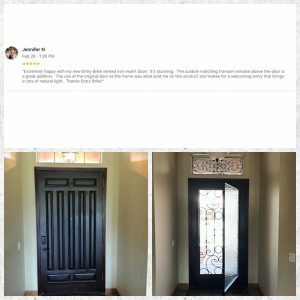 The use of the original door as the frame was what sold me on this product and makes for welcoming entry that brings in a lots of natural light. Thanks Entry Brite.